be recommended by their corps’ Commanding Officer (CO). Description: Central Region Army Cadet Regional Expedition Madawaska will be conducted in Algonquin Provincial Park and Madawaska River Provincial Park from Mid-August to very early September. The expedition will involve biking, hiking, and flat and moving water canoeing. Description: Central Region Army Cadet Regional Expedition Trillium will be conducted in Algonquin Provincial Park, Arrowhead Provincial Park, Killbear Provincial Park and Georgian Bay from Early September to Mid -September. The expedition will involve biking, hiking and sea kayaking. Description: Central Region Army Cadet Regional Expedition Ultimate Adventure will be conducted in the Bruce Peninsula area from mid-late May. The expedition will involve mountain biking and hiking. 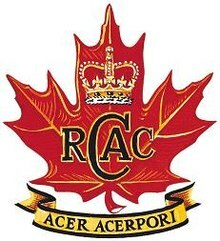 Description: Central Region Army Cadet Regional Expedition Northern Extreme will be conducted in Northern Ontario from mid-late February. The expedition will involve snowshoeing, cross country skiing, dogsledding, winter camping, and winter survival training.